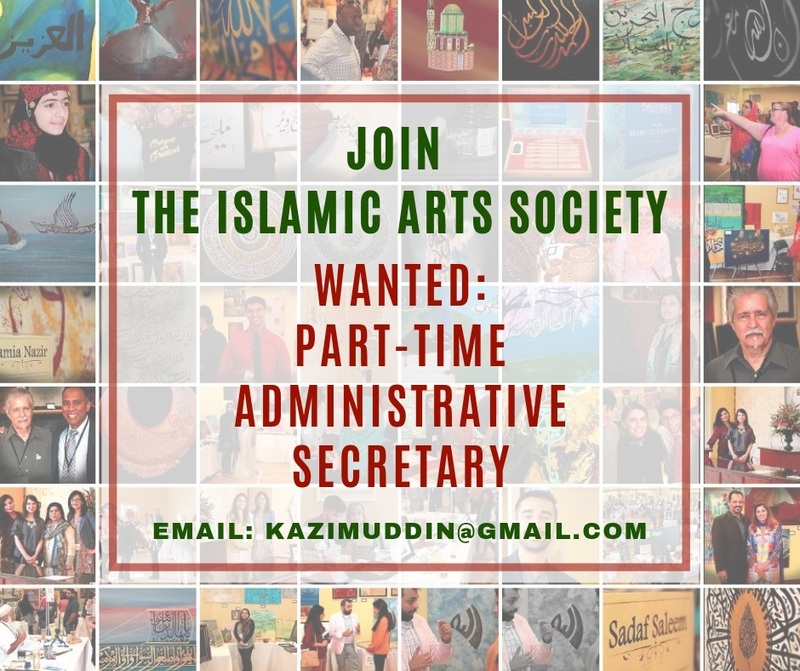 The Islamic Arts Society is looking for a part-time Administrative Secretary for its growing needs. The society works at grass root level in mainstream America and helps to build bridges between communities through art. The prospective candidate should be passionate about promoting Islamic Arts and should be invested in promoting the positive image of the Muslim community in America. Basic knowledge of IT, MS Office and social media is required as is fluency in English. Experience in working with non-profits is desirable but not necessary. Interested candidates should PM me or email a CV to Dr. Khawaja Azimuddin at [email protected].